Welcome to "La Vie en Rose". 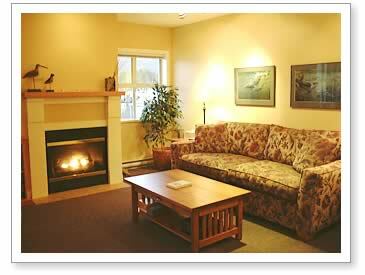 This incredible 1 bedroom unit sits on the harbour front of Tofino in British Columbia. It is a fully furnished and superbly decorated unit that will allow you to experience the beauty and majesty of Tofino in a perfectly well-appointed setting. Join us for a tour of "La Vie en Rose".... You will find it will entice you to visit this corner of paradise located on Vancouver Island at the edge of the Pacific Rim National Park. 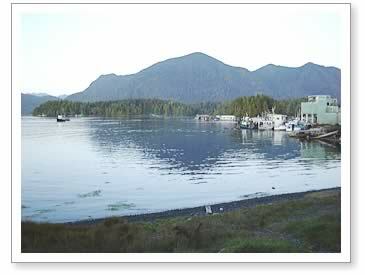 Tofino. A magical and mystical location on Vancouver Island. Once you visit, it flows through your blood. The incredible sights, sounds and beauty of this small town will capture your heart and your imagination. Come see the whales as they migrate between Alaska and the United States. Feast on Dungeness Crabs, Pacific salmon and other exotic seafoods. Visit ancient rainforests where time stands still. Stand in awe before 1000 year-old cedars that are witness to the history and presence of the First Nations. If you are a surfer at heart, come and take on the waves that pound Long Beach. If you prefer a more relaxed type of sea adventure, visit the Hot Springs and sit in the thermal water that pours into the sea, experiencing the sensation of the hot and cold waters mixing around you as you sit where they meet. Tofino is this and much more. Join us for a few days, a week or more. You will never want to leave. A Bald Eagle bathes under our patio.